Three individuals are dead after a two-vehicle collision Saturday afternoon on McKay Road, just east of its junction with Highway 219, north of St. Paul. According to a release from the Marion County Sheriff's Office, a passerby came upon the crash minutes after it occurred around 3 p.m. Saturday and called 9-1-1. Three people, who as of 8:15 p.m. had not been identified, were found in the wreckage of the unknown make vehicles. Firefighters from the St. Paul fire department responded to the crash site as well. The major thoroughfare was closed for several hours while crash investigators from the MCSO examined the scene. 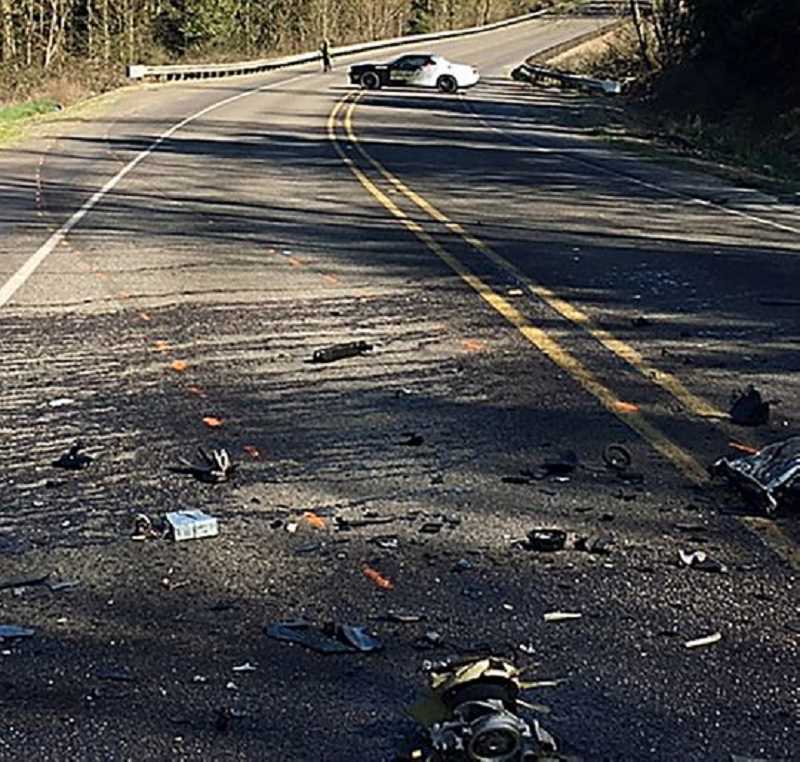 They determined, according to a report by KOIN in Portland, that a pick-up traveling west left the roadway and when it returned it struck an oncoming van. Investigators believe speed may have have contributed to the crash. Two people, the KOIN report said, were in the truck, while one was inside the van. Additional information about the deceased individuals will not be released until their next of kin are notified, the MCSO said. No additional information was available as of this web posting. Deputies are asking that anyone with information on the crash contact the MCSO at 503-588-5032.